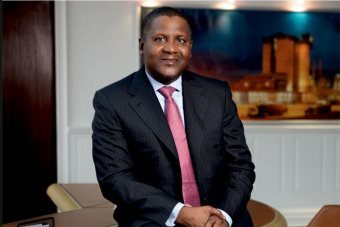 AFRICANGLOBE – Globally Nigerians take the lead on lists of Black billionaires, and one, Aliko Dangote, takes the top spots. With an estimated net worth of $10.3 billion, the Dangote Group founder is the richest man in Africa. According to Forbes, he’s also the richest Black person in the world. Most of the entrepreneur’s wealth derives from his 85.2 percent majority stake in Dangote Cement, which is the largest cement producer in Africa.